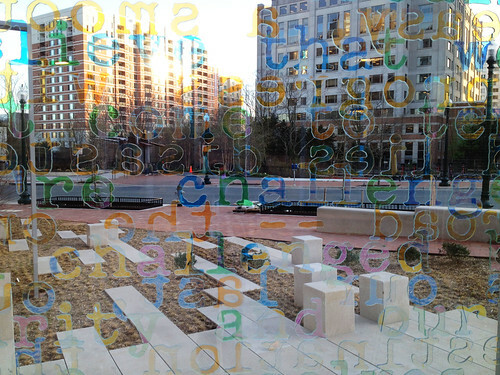 If you haven't visited the Rachel Carson pocket park on Ripley Street in downtown Silver Spring, you're missing out. One June morning in 2006, my bus to work never showed and I decided to write a blog about it. Eight years, 1,641 blog posts, and 6,371 comments later, Just Up The Pike is still going, and it's all because of readers like you. Thanks for giving me a reason to keep going! How did you find out about Just Up The Pike? What does JUTP do well, in your opinion? What could JUTP do better? Is there something we could do more of? Feel free to leave your answer in the comments, on Twitter, or on Facebook. Thanks again! Here's to working together to make Montgomery County an even better place to live. I think the first time I heard about JUTP was when someone mentioned the post you did on Hans Riemer when he ran for County Council in District 5 in 2006. I learned about Just Up the Pike back in 2009 via Silver Spring Singular, seems semi-operable. I think JUTP is great for getting the basics concerning current Eastern County planning efforts. I think the moderation policy is, while understandable, probably hindering some folks from commenting. It seems like dialogue has declined, and while I can understand the rationale for moderation, a troublemaker or two can keep posts active and interesting. 1. I was considering moving to Wheaton and was doing some online research; 2. you focus on communities that matter to me, try to make them better, bring in new information from a different angle, aren't afraid to challenge the prevailing view; 3) keep advocating for better development in East County. Congratulations on exceptional work and longevity as a blogger. Eight years is a long time in the blogosphere. Just Up the Pike is one of the best local or regional blogs I've ever seen. You've provided a great service to the people of Montgomery County, and especially Silver Spring and the Rt. 29 corridor. I've been following your blog so long, I don't remember how I discovered it. Maybe a link on the former Maryland Politics Watch?